When we are talking about survival food, we are talking about the food we keep stored in case of emergency. Survival foods with a long shelf life are needed because we are not in an emergency situation which would warrant having a need for survival food now. Survival food needs to last until needed and through the time of crisis. We are going to take a look at what qualifies as survival food, why it is needed, and how to use it properly. The easiest definition for what is survival food, in the context of how it is being used here, Is any food that you would have during a time of emergency. The emergency being that the stores and markets are no longer open so you are left with only those things that you already have on hand. If that were to happen, how would you feed yourself and those you are responsible for? There may come a time for one of a hundred different reasons that stores may temporarily or permanently become unavailable. It could be something as simple as a storm with 2 inches of ice shuts down a small town for 2 weeks, because frigid temperatures makes it hard to melt the snow from the roads. It could be a hurricane devastated your community and the stores need to be rebuilt. The more damage an emergency causes to infrastructure, the longer it is going to take for life to get back to resembling anything like it did before the crisis happened. That is why survival foods with a long shelf life are needed. 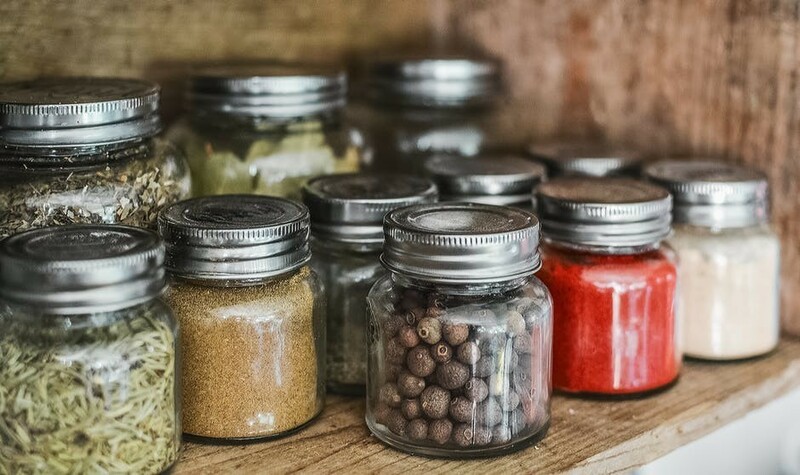 The shelf life might help in making sure it is good when a crisis finally does happen, as well as being able to last you long enough to get to a point where your supplies can be replenished. Why is survival food needed? Simple answer is people have to eat. Unfortunately in America we have stuffed our diets full of unhealthy foods, and wash it down with carbonated corn syrup. A well-balanced prepared meal may come as a complete shock to some people’s systems. A well-balanced Survival meal will be high in protein and good carbohydrates. It literally needs to be food that can give you the energy needed to do the work at hand. Depending on the situation you might just have to wait till the stores come back, or you might have to get outside and start clearing your property of debris so you can makes it to the store when they do come back online. It is also very wise to make sure you have enough food on hand to avoid having to be first in line after a long period of no stores being available. Picture Black Friday except everyone who doesn’t get the sale item goes hungry. The very essence of prepping is to avoid just such a scenario. Our purpose is to be accountable and 100% responsible for our own well-being. Imagine living in a small town where tornadoes rip through main street knocking out all the local stores. Making matters worse, there is debris thrown all over the major roads out of town. The cleanup to get the roads open ends up taking 3 months because the cleanup in the major city 30 miles away takes priority of resources. We call that “RedTape”! In this scenario you are going to both need several months supply of food, but also a long shelf life if the food is going to keep from going bad before it is able to be replenished. Your survival food needs to be just as good as the day you bought it three years from now when you might actually have to use it. Survival foods with a long shelf life is the only way that is going to happen. I will have future posts on the nutritional values needed for survival foods, but for now we are talking about why they are needed, and why the shelf life is important. Basic survival foods with a long shelf life! The sky is the limit for different types of food you could use or have on hand for an emergency. Some people have made whole companies around the niche of selling “survival foods”. The truth is this, You need any food that has a good storage life and has a durable container. The best foods you can get are ones that can handle a bit of a swing in temperature and climate but won’t easily break if you decide to bug out to a new location. Jars of pickles might be great until one breaks in your backpack when you trip on some debris. The simplest and easiest survival food you can have is plain old canned goods. I know it doesn’t sound very exciting but it is the truth. You don’t need tactical corn flakes or apocalypse puffs for breakfast. Some good old oatmeal or pancakes can do just fine for breakfast. One google search of “survival food” and you will come up with dozens of companies with prepackaged plans for you and your family to be able to eat rack of lamb during the zombie apocalypse. I would basically say to prepare for your families needs based on what you already eat. You may not be able to get fresh corn on the cob and potatoes when the stores close, but they do come in a can. Having meat or protein is also going to be important for overall health of your group, even more so if there is a lot of physical work to be done. The best way to have meat and protein when things go bad is either hunting, canned meat, dried beans, or dehydrated meat. Dehydration and freeze drying food drastically extends the life of the food. It makes it possible to keep and store them much longer. How to treat your survival food. Survival foods must be seen as a necessity, first and foremost. You absolutely have to eat and it is 100% your responsibility to make sure you do so. You may have people counting on you to make sure they eat as well. Outside of your normal eating meal plan you should have a minimum of 3 months worth of food stored. This doesn’t have to be 3 square meals a day with snacks and deserts, but it does need to be nutrition enough for you and yours to survive without wasting away. Some people say they are barely getting by and don’t have a lot of extra food left over at the end of the month as it is. If that is you then you are in a position where it is even more important for you to stockpile. You are probably in a demographic where a lot of your neighbors are in the same boat so any available supplies during an emergency will go fast. You can get a stock pile going even if it is just putting 6 cans of green beans or a bag of red beans to the side for a rainy day. On the other end of the spectrum are people of wealth. The can’t fathom a day when whipping out a credit card, or flashing some cash, can’t get them whatever they want. A family friend works for a skyscraper in New York city. He said they remodel the kitchens in the 2 million dollar apartments every time a tenant moves in. The kitchens always look like they have never been used. The people who own the Manhattan apartments normally just go out to eat or grab take out. Things are going to be real bad for them when the stores close. Money is only good if there is something to buy with it. A survival food plan should be written up and stuck to as you start your prepping journey. You may not have every comfort food you are used to, but we want to make sure you are at least well-fed and have the proper energy to tackle any of the hard tasks in front of you. Survival food storage has to be rotated. Buying can goods with a 10-year shelf life and letting them sit on your shelves for a decade is just a bad move. Finding out something in your supplies has gone bad, only after an emergency has happened, is a real bad place to be in. Rotating can goods out every year is a great way to keep them fresh and to make sure you do in fact like the food that you are buying for your survival foods. Your survival foods should be kept separated from your normal every day foods. It can be as simple as the shelf in the back of the pantry is for the survival food. It is important to keep your family and friends off of the stockpile. Exactly, in order to survive we must eat and drink. I think this is a really good post and we should save food for an emergency. I think most people don’t keep food for an emergency and may regret it if that ever happened. Canned food would probably be the easiest to get and save for long shelve life. Thank you for the comment. Please make sure to check in for new content coming all the time.